If Thanksgiving Dinner and Easter Sunday had a child, it would be July 4th. Why? You need to deal with your argumentative and semi-tipsy step-uncle and hear him explain why we’re approaching the North Korea situation incorrectly. Oh, and don’t forget about Aunt Cheryl complaining about something for no reason. If you went to summer camp, you should know this like the back of your hand. An apache relay is a race consisting of different stations, passing the baton every time the station is complete. For example, stations could include filling a water basin blindfolded or dizzy bat. Just split the squad into two, and let the hilarity ensue. July 4th isn’t the same without food. It’s the catalyst for celebration. Prepare cooking materials and a recipe beforehand, and have a cook-off between two teams. The best part about winning? Bragging rights for 365 days… and good food. 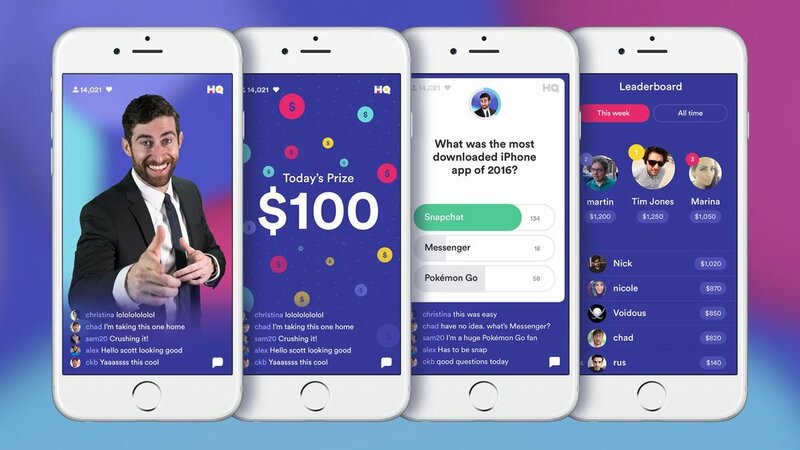 Who doesn’t have a love-hate relationship with Scott Rogowsky and Sharon Carpenter from the HQ app? These guys may talk up a storm, but they put on a great game that the entire family will love. And who knows, maybe one of you will win a whopping $1.32! Older PostHow Do You Spend July 4th?